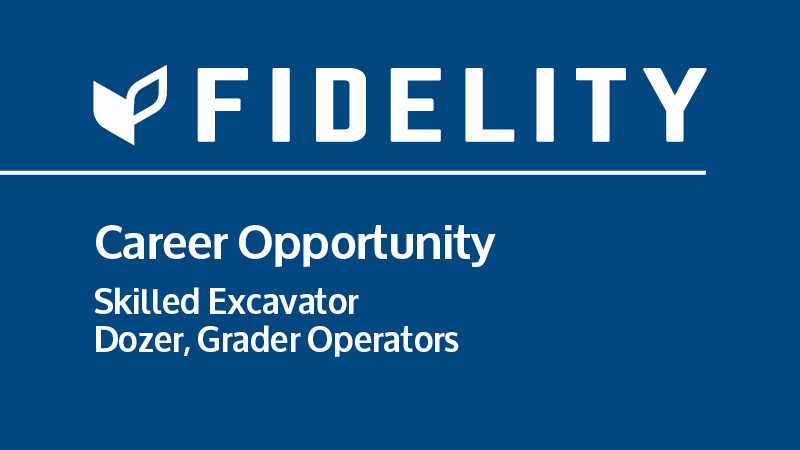 Fidelity is seeking motivated individuals who have experience in heavy civil construction, residential site development and heavy equipment operations to be part of our dynamic professional team. Bring your ambition and we’ll give you the tools, the training and the opportunity to build your career with one of the fastest growing engineering and construction companies in Ontario. Fidelity offers very attractive compensation packages for our team and are proud to be an equal opportunity employer. Hi guys. I live in Peterborough and am looking for permanent employment.. I’ve been operating for 17yrs. From confined space to 700 komatsu, 988 cat loaders Etc.i have lots of concrete crushing experience and so on.. where can I leave a resume for your convenience? Hello. I am seeking fulltime employment and interested in joining your team. I have Heavy equipment qualifications, an AZ license, First Aid, WHIMIS, CSTS-09 and Working at heights. 15 years in construction and hoping to continue with your team.